Just like a superhero, bouncy Billy Bonkers can make anything happen! Who else would wear turbo-charged trousers at sports day, or trampoline all the way into space? But now, there’s something Billy doesn’t want you to know. Come closer… I’ll whisper it! He has to wear his sister’s frilly knickers! And whether Billy is flying round a go-kart track, chasing a very smelly dog or finding some priceless hidden treasure, he keeps having to explain: “THEY’RE NOT MY PANTS!” Three zany stories bursting with madness and mayhem – a pure energy rush! 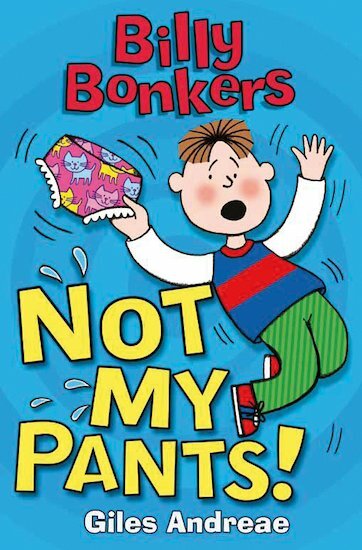 I loved the part when he screamed” not my pants”. I loved this book as it is bonkers like me. It was written with soul and passion which made me want to read on.